So said Wilko in a recent interview, having been diagnosed in late 2012 with terminal pancreatic cancer. But despite the doctors’ worst predictions he continued to perform and present himself with vigour and a new zest for life. The man from Canvey Island, who studied English at Newcastle University before doing a bit of travelling, could have been a retired teacher by now, sucking on a pipe and whittling away at his pension. But no, Wilko was lured into music by the dark magic spun by his first Telecaster, bought from a music store in Southend, Essex, soon after becoming the strutting, grimacing, six-string rhythmic powerhouse behind Lee Brilleaux in Dr Feelgood. Feel good? 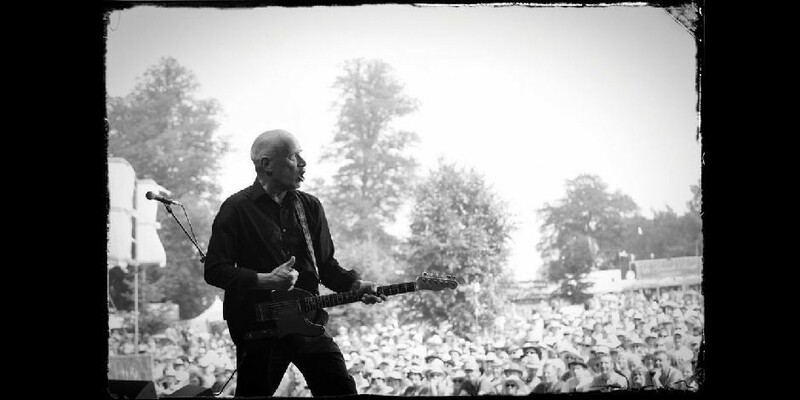 Audiences certainly did in the mid ’70s as Wilko duck-walked his way across countless stages and venues in the UK, with Dr Feelgood in the vanguard of the pub rock movement, performing the gutsy down-to-earth rock and roll that was a welcome antidote to the faltering prog-rock era. They decided on the spot it would be a great idea to collaborate together on an album but both being busy men, the idea drifted away. The album mostly featured re-makes of vintage Wilko gems, including the Feelgoods’ All Through The City, Keep It Out Of Sight and Going Back Home – the latter co-written in 1975 with Johnny Kidd & The Pirates’ guitarist Mick Green – plus Everybody’s Carrying A Gun, originally recorded by his post-Feelgoods group The Solid Senders, and the solo ‘80s rockers Ice On The Motorway and I’m Going To Keep It To Myself. There is also a hidden gem, the heart-wrenching ballad Turned 21, which has never been properly released or performed live. In April 2014 doctor’s discovered that Wilko’s pancreatic cancer was a rare, much less aggressive, form and carried out a pioneering 10 hour operation that may have saved his life. Wilko is currently recuperating at home in Essex.